Parking: When you arrive at Xtek, please park in the south lot, which is fenced in. The gate will be open. Click here for a marked-up aerial view. Join your fellow AX (and D365!) users at Xtek for our April meeting. Hear from Xtek's CEO, Roger Miller, about Xtek's AX journey and the challenges they've faced. We will also touch on Xtek's journey forward toward Dynamics 365. Our first educational session will be lessons from a D365FO Business Intelligent consultant, RSM's Terry Brandt. You will learn how to find the right Entity in your BYOD environment. Also, you will learn about Microsoft's direction with BYOD and the implications of the Data Lake. For our second education session you will learn about Project Evergreen and the new monthly cadence for D365FO updates, presented by Todd Kuramoto from Ellipse Solutions. 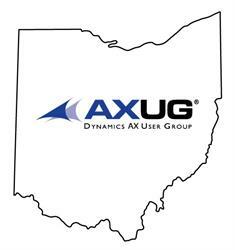 Audience: All Dynamics AX users are welcome. Your UG Membership extends to ALL employees at your company, so we encourage you to invite your colleagues and fellow peers. Partner Members are welcome to attend provided they are accompanied by a customer and they can refer to our Terms & Conditions for additional guidelines.